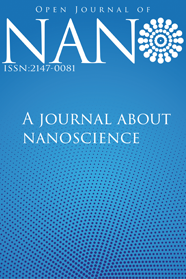 The Open Journal of Nano is deal with knowledge of the physical, chemical and biological phenomena and processes related to particles, tubes, layers, macromolecules, clusters and other finite structures that have at least one lengthscale ranging from molecular to nanoscale, and exhibit improved and novel properties that are a direct result of their small size. The journal aims to also publish mini papers (but not limited to) at the forefront of nanoscale science and technology and especially those of an interdisciplinary nature. Mini articles which are very short papers (no longer than 4 pages) containing useful data, descriptions or other information that are too limited to carry a full research article. Mini papers should be self-contained, provide the scientific context of the described work and consist of the following elements: a title, list of authors (plus affiliations), abstract, keywords, a main text and at least 4 references. Towards ensuring high editorial standards, every article submission is preliminarily assessed by the editors of the journal before being sent to independent referees.